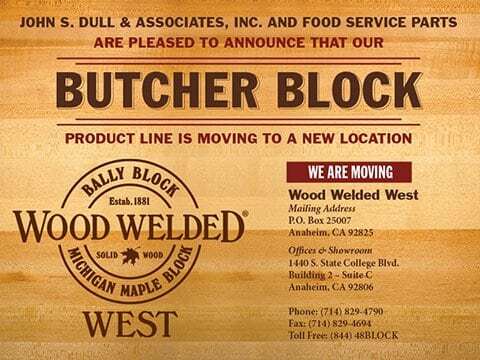 Wood Welded® butcher block products are some of the most beautiful and stunning kitchen countertops, food prep surfaces, and sturdy industrial workbench tops you’ll ever see. Their popularity is due in part to its continuous operation by one family for over 125 years. Our task was to build print collateral, a business development kit, office signage, business cards and even a full-size van wrap that would reflect the beauty, durability and history of Wood Welded products. Working directly with the parent company, Westamerica secured original artwork and logo treatments from which to create updated versions and build out the creative suite of products. We wanted to make sure the new branding preserved the company’s 125-year history. Armed with the help of the creative design services and account management leadership at Westamerica Communications, Wood Welded West was born. To keep the new look modern, yet maintain the feel of the history, the original logo was slightly modified and updated for the new West Coast location. 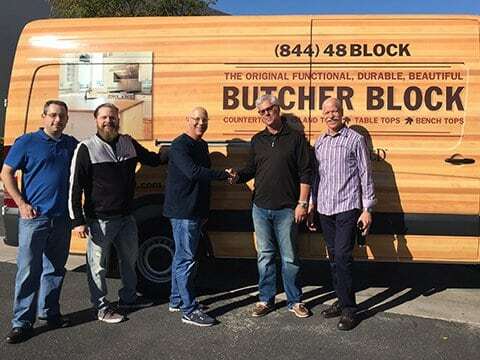 Realizing that the imagery for the van wrap had to portray the high-level of quality represented in their actual wood products, we chose to photograph the actual butcher blocks and build a continuous graphic to cover the entire van. The result was a stunning, true-to-life and head-turning representation of the product’s quality. ￼Within moments of putting their new “moving billboard” on the road, Wood Welded West began to receive calls. In fact, by the time Jim from Wood Welded drove the newly wrapped van from our facilities in Lake Forest to his Anaheim showroom (about 20 minutes), there was already a message from someone asking about his services that had seen his van on the road.